Immunohistochemical analysis of paraffin-embedded human stomach cancer tissue slide using 27069-1-AP( DMBT1 antibody) at dilution of 1:200 (under 10x lens) heat mediated antigen retrieved with Tris-EDTA buffer(pH9). 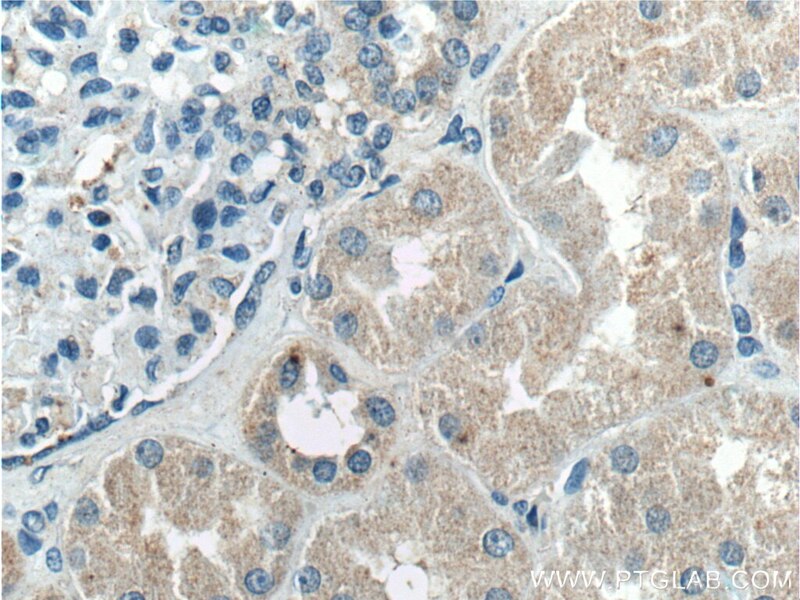 Immunohistochemical analysis of paraffin-embedded human stomach cancer tissue slide using 27069-1-AP( DMBT1 antibody) at dilution of 1:200 (under 40x lens) heat mediated antigen retrieved with Tris-EDTA buffer(pH9). 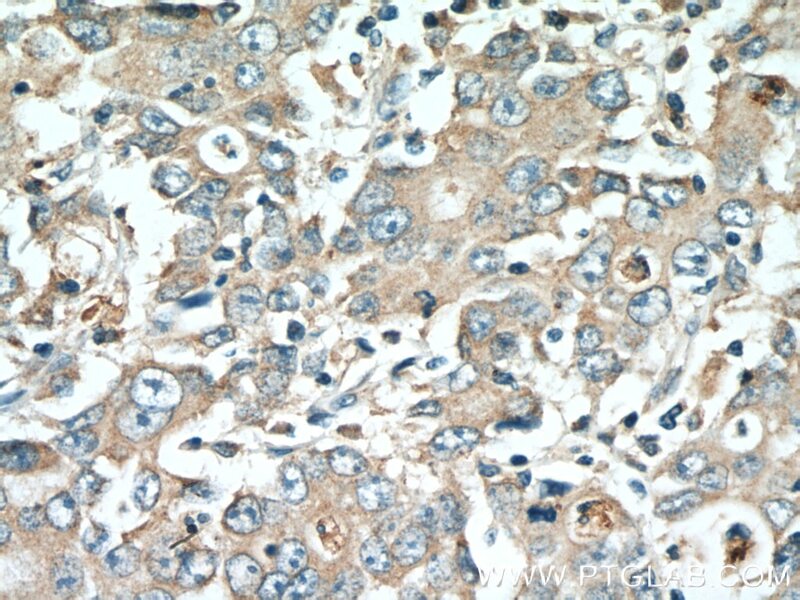 Deleted in malignant brain tumors 1 (DMBT1), also known as the salivary scavenger and agglutinin (SALSA), salivary agglutinin (SAG) or gp340, is a multifunctional molecule with important functions in innate immunity, inflammation and epithelial homeostasis (PMID: 28668353). DMBT1 has some isoforms with the molecular weight of 193, 260 and 340 kDa. 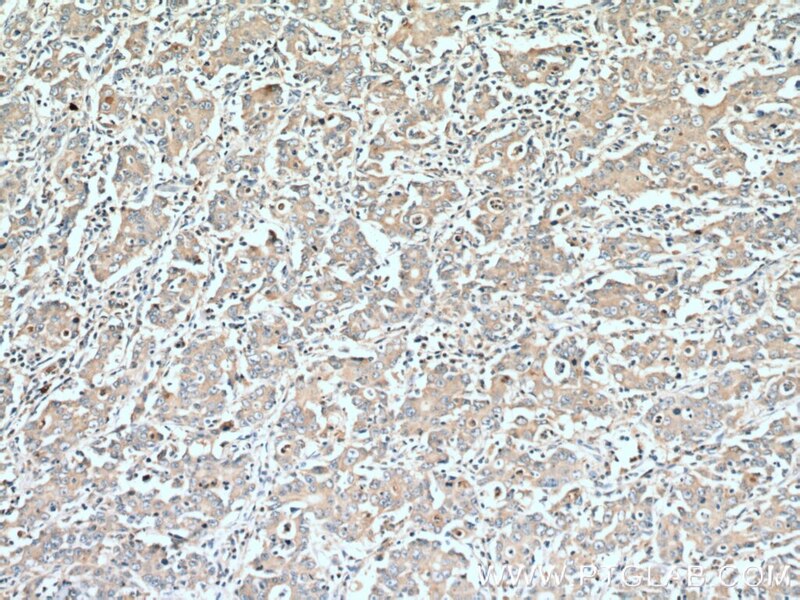 Immunohistochemical analysis of paraffin-embedded human kidney tissue slide using 27069-1-AP( DMBT1 antibody) at dilution of 1:200 (under 10x lens). 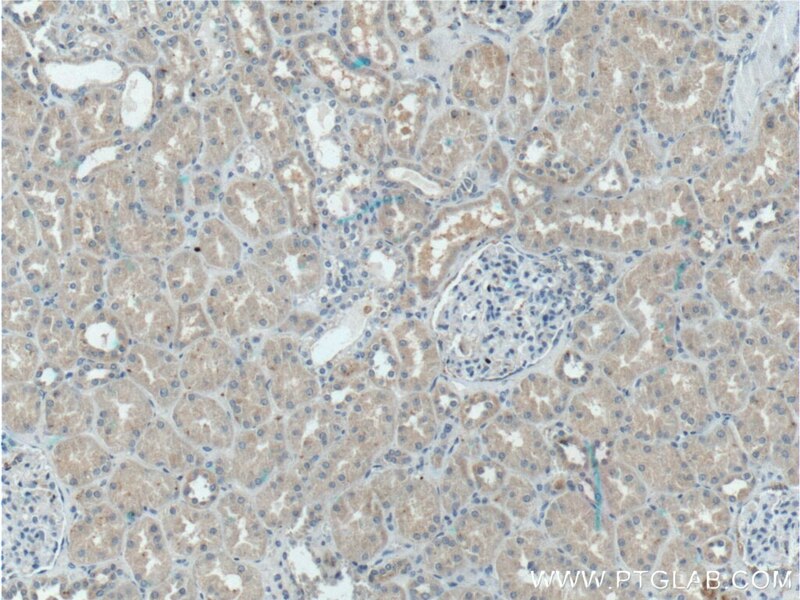 Immunohistochemical analysis of paraffin-embedded human kidney tissue slide using 27069-1-AP( DMBT1 antibody) at dilution of 1:200 (under 40x lens).